Your content should relate, at least partially, to your business practice. We here at Omnibeat are a digital marketing agency hence why we post about technology, social media, and website related content. Your business should do the same and determine your niche and targeted audience and should then post content that appeals to that specific area. For example, if your audience is elderly persons then you should not be writing about the new game kids are playing these days. Creating content comes with some flexibility as you can talk about current events and how it relates to your business and market, but in general your content should relate to the audience you are targeting in order to receive the best results. Your content does not need to be perfectly frequent posting every Wednesday for example, as we do, but your content should come at least semi-frequently. By this we mean that you should not post content once or twice a year, but rather aim to post a few times a month. This regularity in content will not only keep your customers returning to read your content, but will also play a part in boosting your SEO. The reputation of good content is enough to set a business apart from its competitors; however, it is impossible to maintain this reputation if you only post once a year. This is why content needs to be posted and updated regularly to ensure that your business keeps its good standing with its clients and viewers. As we continue to technologically advance, we are continually placing a higher emphasis on efficient ways of transmitting information. This pressure to be concise has led to a rise of visual content in the form of videos and pictures. The Socialnomics video, which we wrote about in the past https://www.omnibeat.com/socialnomics-2017/ at , foretold that by 2018 two-thirds of phone usage would be to watch videos. Currently, less people want to read and more people want to watch a video. If your company can develop strong, video footage then they are immediately placing themselves ahead of the competition such as Dollar Shave Club did. A good example of video content comes through GoPro who centers their entire marketing strategy around video content, and although the company has not been performing well as of late, it continues to remain afloat partially due to this content. Your business’ content does not need to necessarily be as original as a company like GoPro’s, but visual content is the way of the future and good visual content can be a game-changer for any company. This last one is a given – create content that people want to view. Nobody wants to read about the boring paper filing your company does or watch a video of people sitting at their desks; instead, create content that shows the exciting maybe funny part of your business. Your content can be well written using sophisticated words and great grammar, but none of this matters if the article is about how you got stuck in traffic the other day because it happens to all of us. Your ideas for content need to be exciting and draw in the reader’s attention; this will cause your viewers to keep coming back and will set you apart from your competitors. The people who surround you at work are another great opportunity for content. Every business typically has an about page talking about their employees, but your content can go beyond that. You can talk about how members of your staff give back to the community or talk about interesting things occurring in their life. By discussing the personality behind your business and by simply being yourself you can add valuable content that goes beyond simply boosting your SEO. In the past we have spoken about how a blog is a great way to add content to your site, but blogs are not the only form of content. 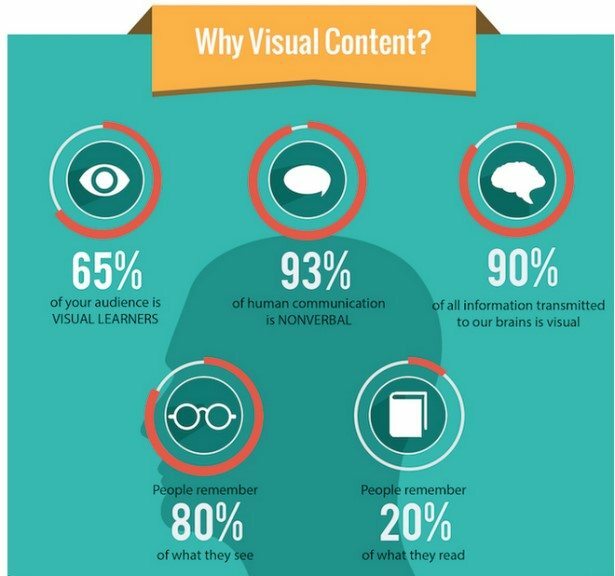 Content can come in any shape and size whether it be visual, written, or human but whatever it be you should always be looking to add content. 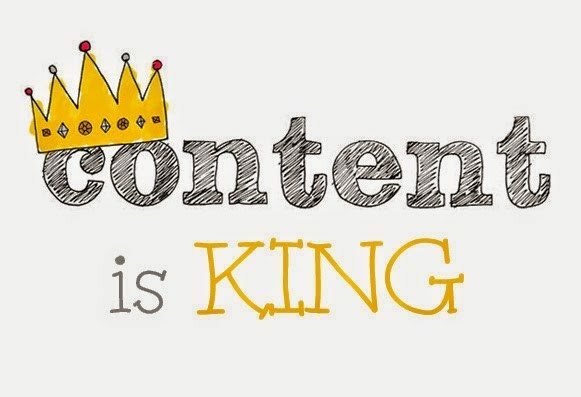 Content can accomplish wonders for your company and that is why content is king.